Transformative Learning and Teaching in Physical Educationexplores how learning and teaching in physical education might be improved and how it might become a meaningful component of young people’s lives. With its in-depth focus on physical education within contemporary schooling, the book presents a set of professional perspectives that are pivotal for realising high-quality learning and teaching for physical education. With contributions from a range of international academics, chapters critically engage with vital issues within contemporary physical education. These include examples of complex learning principles in action, which are discussed as a method for bettering our understanding of various learning and teaching endeavours, and which often challenge hierarchical and behaviourist notions of learning that have long held a strong foothold in physical education. Authors also engage with social-ecological theories in order to help probe the complex circumstances and tensions which many teachers face in their everyday work environments, where they witness first-hand the contrast between discourses which espouse transformational change and the realities of their routine institutional arrangements. 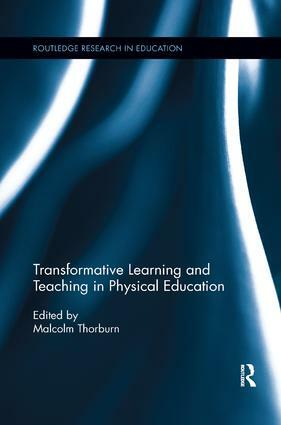 This book enables readers to engage in a fuller way with transformative ideas and to consider their wider implications for contemporary physical education. Its set of professional perspectives will be of great interest to academics, policymakers, teacher educators and teachers in the fields of physical education, health and well-being. It will also be a useful resource for postgraduate students studying in these subject areas. Can rival traditions of physical education ever be resolved?